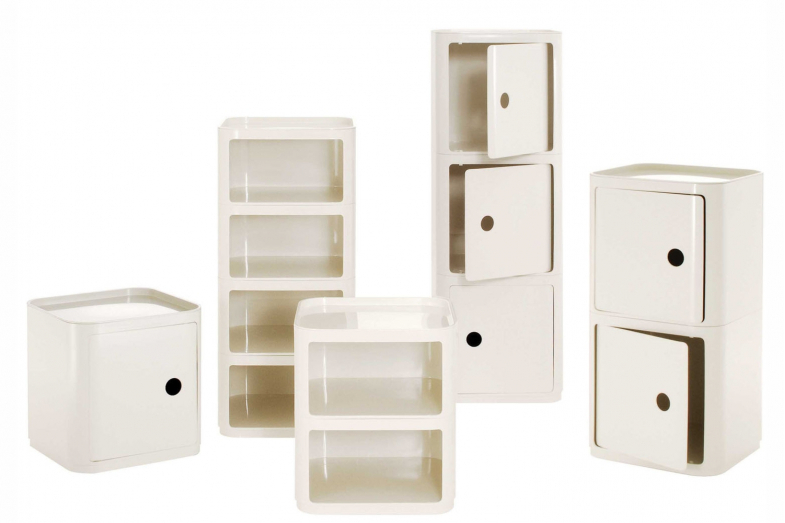 Anna Castelli Ferrieri's square Componibili storage modules, produced by Kartell, are functional modular solutions for any home setting. The square Componibili is a modular system. There are four pieces available, two separate storage units, a hamper and a closure lid. 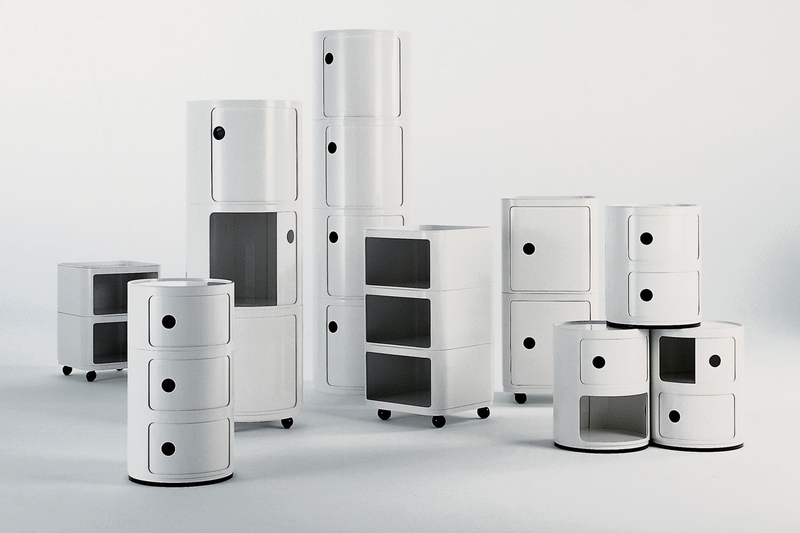 The storage units are available as either small or large, while the hamper is much taller and has a door that pulls out at an angle from the top. They will stack in any configuration, and only one closure lid is necessary per tower. The Componibili modules have been designed to meet various functional needs and slot into any home setting, in the bathroom, bedroom, kitchen or living room. The design feature that brings the Componibili modular system to life is the simple and robust vertical overlapping of the single pieces, which, by way of a simple joint, form practical movable containers. The Componibili modules can stand on small castors. Flexible, functional and practical, Componibili modules have been in production for more than thirty years and have received much recognition for their pre-eminent and innovative design. They are also displayed at The Museum of Modern Art in New York and at the George Pompidou Centre in Paris.